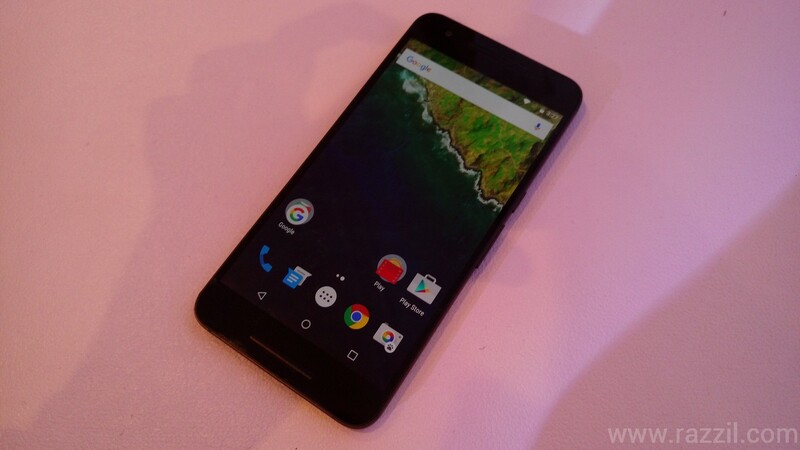 Google India has launched the Google Nexus 6P in India in its first ever Nexus launch event in the country. The Nexus 6P is built by the partnership between Google & Huawei. The Nexus 6P comes with full aircraft grade aluminum body, 5.7″ WQHD display, 2.1 GHz Snapdragon 810 processor which is mated with 3GB DDR4 RAM. The Nexus 6P runs on latest Android 6.0 Marshmallow and is powered by a 3450 mAh battery. The 6P also has 12.3 MP rear camera with 1.55 μm pixels, 4K video recording & high frame rate slow motion video. 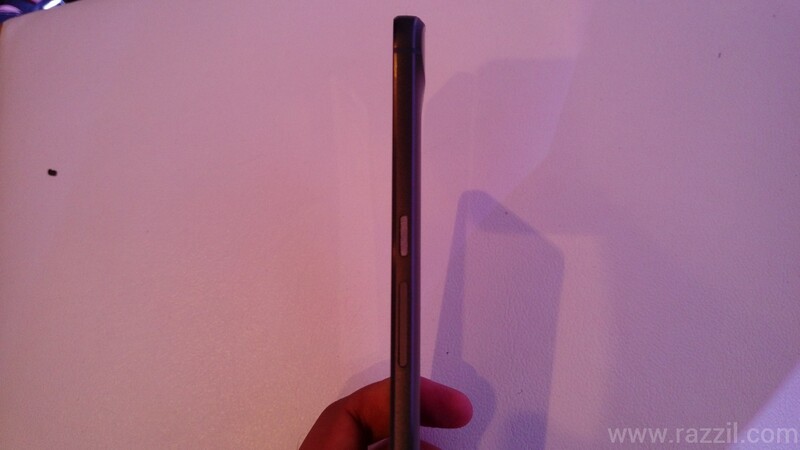 At front, it has 8 MP camera with HDR+ shooting mode. By design wise, the phone looks really good and give you the premium feel, thanks to the full metal body. Google solved the one major problem that we seen in metal phone is the weight. Huawei used aircraft grade aluminum which makes the phone very light in weight and it’s almost feel same like 5X which comes with polycarbonate body. At front, there is a stereo speaker which is louder than my HTC One M9+. 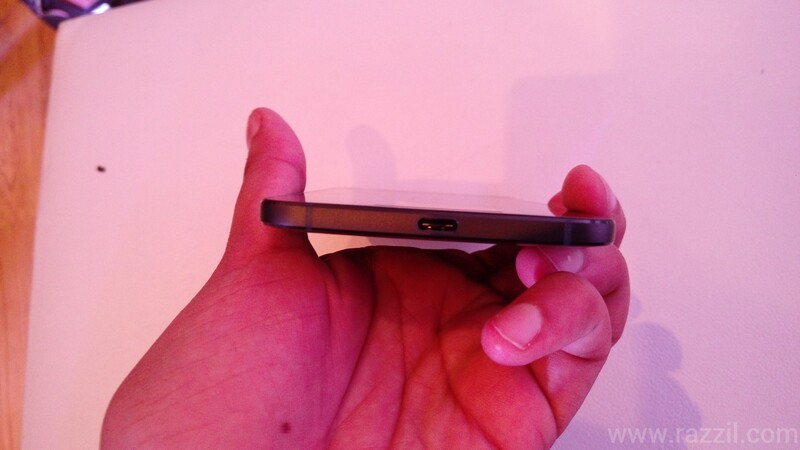 Because of that stereo speakers, you’ll see some bezels on top and bottom of the phone. 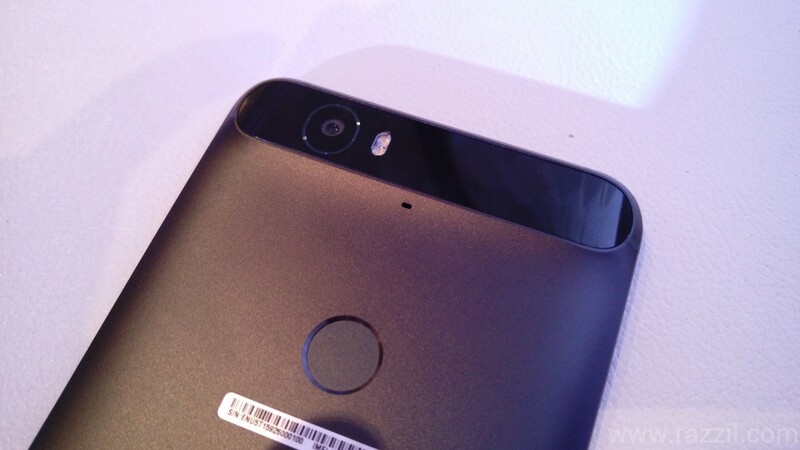 And you can see the pictures, the camera part on the back of the phone is slightly above the back surface. They used the same pattern in both Nexus 6P & Nexus 5X and it’s actually looks good. Fingerprint sensor is on the back side, you need some times to get used to it, but I like the rear button position, We’ve seen the rear buttons on LG G3 and after a few days, the buttons don’t feel awkward and you’ll start enjoying that part. Unlike other fingerprint sensors which record only few fingerprint images and that’s too when you setup the fingerprint lock screen for the first time. Google tried to improve this by continuously recording your fingerprint, in this, fingerprint success will gradually improve overtime as it’s continuously learning the all the possible patterns. 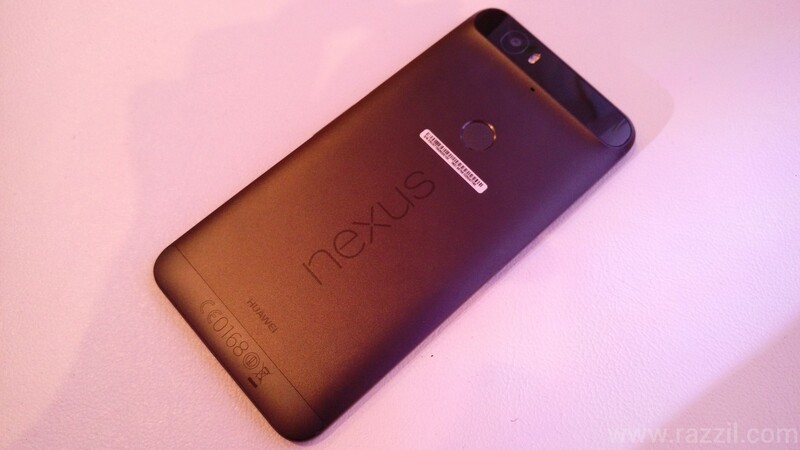 For the first time, Nexus device comes with a really good camera. They’re using 12.3 MP Rear camera with 1.55 μm pixels sensor. Google told that they’re using Sony sensors which is used in professional cameras. I’m yet to test the camera in outdoor lights, but initial results indicate the camera shines in all departments. The indoor photos will impress you, it manages to deliver some nice pics but still not as good as the HTC Ultrapixel camera. Both rear and front cameras support 4K video recording at 30 fps. You can capture slo-mo video at 240 fps, which is really good and the end result would be very smooth. 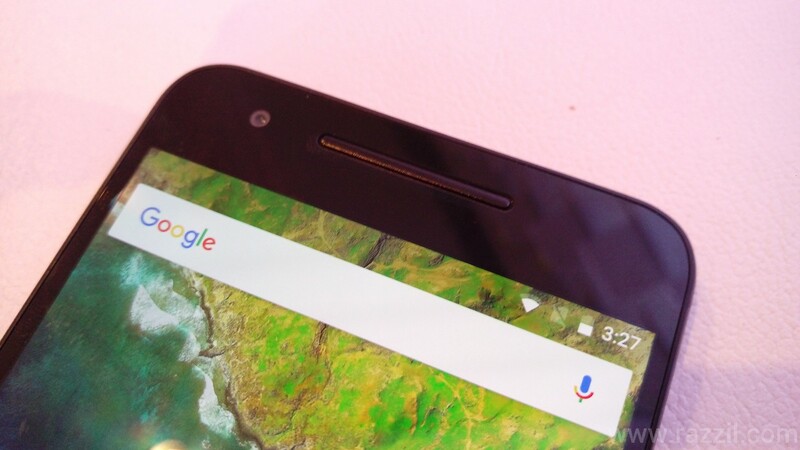 Google Nexus 6P is running on Google latest n Greatest Android 6.0 Marshmallow OS. Those who are using the Lollipop OS on their phone knows how good the new Material colors and animation. In Marshmallow, Google enhances all these animations with subtle tweaks in overall UI. Nexus 6P will now give 30% more battery life in standby mode, thanks to marshmallow. This new feature will increase the battery life when your phone lies in idle and they’re also using a low powered sensor hub, which handles the low end task such as showing notification on screen in ambient mode. Google is squashing all the short comes that we found in previous phone and now I can say we finally found a Perfect Android phone which shines in almost every department. The only negative part is the pricing. On ecom, you can buy this phone exclusively on Flipkart and also available offline in leading tech stores.